Men are scattered just as much as women among the dimensional consciousness spectrum but women are closer to the frequency of 5D, at least in my opinion and experience. The awakening is happening mentally for most men and then as the vibration continues to raise on Gaia we are being invited to go more into our hearts, as that is what the core of 5D is. To live in the fullness of authentic BEingness. There are no more 3D wound-based blocks that cap or prevent our access to our more crystalline nature. So when we as men begin to heal the Heart what does that look and feel like? Clearly we are honest with our emotions. We are vulnerable. When a feeling arises we express it with clarity, certainty, and openness to perspective and counter emotion. We are not afraid to get into the fray to burn away what is old and arise what is truly authentic. We invite the shadow reflection as a gift to deeper understanding and healing. There is a reverence for ourselves in the path of this integration. There is no longer self-doubt and self-judgment. We see ourselves as true Kings and proport ourselves as such. 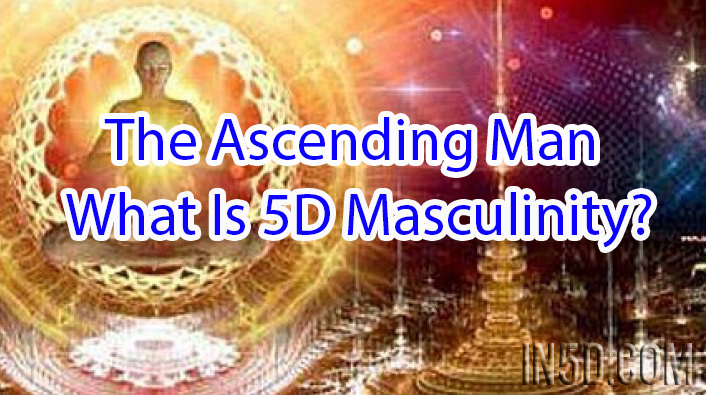 The 5D masculine has met, wooed, and integrated his inner feminine. This creates a self-contained and balanced male BEing. The love and acceptance of the inner feminine reflects the reverence of the outer. The healing of the mom wound feels vitally important as it holds the energy of our relationship to the feminine and our subsequent sense of power and sexuality. There is the need for union with Woman as an alchemical and powerful dynamic of intensely epic proportions. This mating and integration of this inner feminine aspect brings us a more heart-open, softer, and less linear way of expression. There is less DOing and more BEing. Being with what arises in our desire and creative abundance. We clearly respect Gaia in all Her splendor and weep at the sight of Her stunning beauty. We are more connected to Her creatures and the guides and totems that they represent. Meat eating becomes a thing of the past that no longer has a place on our plate…our diet just changes with the integration of this new consciousness. One of the biggest pieces to me is the shift from competition to cooperation as we become more aware of our connection to All That Is. We are One of the same so competing serves less purpose. I can feel a healthy form of competition possibly but my jury is still out on that one. As men begin to heal their father wounds the more we begin to open our hearts to each other in beautiful male bonding that is alive with wonder, exploration, and leadership. A cauldron of possibilities are shared and MANifested. No longer will men feel responsible to achieve, but rather responsive to the call of building galactic bridges and to co-creating with their feminine counterparts in sacred union. The weight of the world and the need to control and provide are felt through and healed with love so that we can access our more authentic power that is in alignment with Source and Reverence. The chains of our own captivity are melted away with the tears of remembering what we have always been and why we chose the density of 3D. This healing will open up our Galactic chakras and become more in tune with the energies of the universe. Many men are being awoken today only to be left with the question of what it all means and what to do with it. The grounding into Gaia and the heart feels like it will help with this feeling of uncertainty. This connection between our humanity and our universality is what creates a powerful new conscious cosmic experience. The heart opens up and grounds in. The service to others becomes 5D man´s new frontier. I feel such a plethora of possibilities. Our expanded heart consciousness will open new doors of relationality among ourselves and our galactic connections. The relationship to Gaia will be in alignment with Her consciousness and Love. Living and breathing with and alongside her. Setting off into unknown realms to encounter new and exciting territory with the desire to learn and spread more love. Implementing and encountering new technologies and wisdoms. It is a great time to be alive. But there is work to do on ourselves. Some more or less than others, but needed healing just the same. We are all in this together. All looking for those who are resonant and can provide support, reflection, and love. The old male collective is feeling the press of this continued flow of energy that is coming at us in Love each moment. Following Yin is to respond to the pings that are going off inside and to meet them with a gentle curiosity that brings them out into the light. No need to excavate or drill in the old way. Feeling each of our desires and fears are what leads us the next choice point of healing and ascending above what used to keep us down. I look forward to this New 5D Man within me and within You to see what amazing experiences we can have together and with our counterpart 5D Woman. Now THERE is something to show up for! 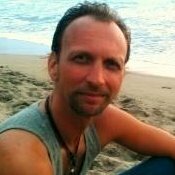 About the author: Gabriel Heartman is a spaceholder, heartist, men´s group co-facilitator and teacher of the SoulFullHeart Way Of Life. Visit soulfullheartwayoflife.com for more information about sessions, online group calls and circles, community, videos, and more. Tags: co-create together, creative abundance, crystalline, Galactic chakras, manifested, Star Being, The Ascending Man: What Is 5D Masculinity?